Shakespeare’s A Midsummer’s Night Dream is likely the most influential fairy tale of all time, albeit geared towards adults. It also gave us three of the most famous of all … Oberon, Titania and of course, Puck. Oberon has an odd provenance, starting with ties to the Merovingian dynasty, who are rumored by some to be descendants of the blood line of Jesus Christ no less. To the Merovingians, Oberon was a sorcerer, a denizen of the otherworld. Shakespeare not only makes him a fairy, but the king of the fairies. In the course of the story, Oberon uses his agent, Puck to perform a bit of herbal magic, who using the nectar from a magical flower, sprinkles it into the eyes of the sleeping Titania. Not content with that, he also instructs Puck to do the same to another character, which creates all sorts of havoc. Traditional British folklore leaves the queen of the fairies nameless, and so Shakespeare calls her Titania. He made a habit of taking elements from the Romans for his plays, and Titania is no exception, being a daughter of the Titans in Roman mythology and the writings of Ovid. Titania is no Tinkerbell, but every bit the match for Oberon. Puck however does have deep English roots. 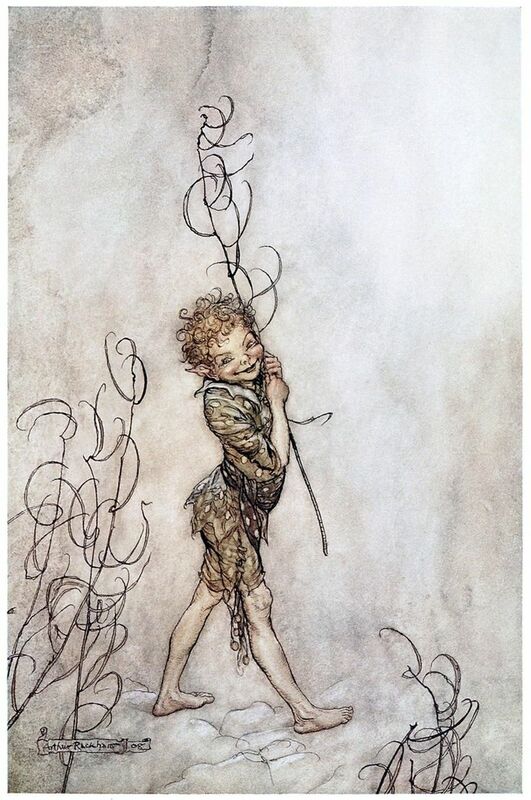 Often thought of as a sprite, more the traditional style of fairy today, he’s often portrayed as a child. His mischievous side is well noted and integral to the plot of the play, carrying forward much of the action. Shakespeare appears to call him both names, and as such leaves as guessing, and arguing centuries later over just who this magical creature was.